Deciding to set up a business is easy enough. You have the business idea, and you know how to implement it. The problem, however, is raising the money to get the ball rolling. There will probably be less of a problem if you already have enough money lying around to invest in your own business, but if you are strapped for cash, or your money is not enough to cover the whole startup process, you will definitely need help. Fortunately, there are ways for you to be able to raise the money you need for your startup business. In the past, entrepreneurs had only about a handful of options available to them in order to raise money that they will use to start their small business. Times have changed, however, and entrepreneurs of today are now presented with a lot more options. It is only a matter of choosing the best option for them. In this article, we will talk about 1) the challenges faced by startups, 2) financing a startup with loans, and 3) how to raise money through small business loans, and 4) how to raise money through small business loans, and 5) how to raise money through grants. Here is a sad reality: more startups fail than those that succeed. The failure of companies to get their business running and last for more than a couple of years – or even one year – can be traced to several challenges or problems encountered. Poor planning of the business model: The failure of the business model will lead to the failure of the startup. While preparing the business model, some entrepreneurs become overly optimistic and presume that acquiring customers is very easy. Market and competition: It is possible that the business ends up realizing that there is very little or no market for their product or service. There is also the fact that market conditions have a certain degree of volatility, so it is entirely possible that the business may have timed its entry into the market wrongly. Competition is also another problem faced by startups, especially if they are up against companies or names that have already been established. Poor management: Having a poor management team in place will cause the company to suffer. 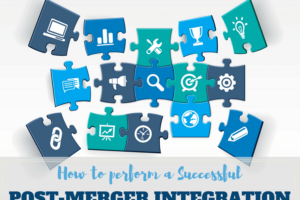 Synergy is very important, from the top of the management chain down to the lowest rungs. There should be balance in every level. It would not do the business any good if the middle management is weak at executing plans despite the fact that the top management is always coming up with good concepts and strategies. This could also swing the other way, because even if the lower management is excellent at getting plans into motion, if the strategies and programs developed at the top are less than satisfactory, then they will still be unable to get the results they want. Product problems: The product itself may be the problem. Perhaps it has a mediocre design. Maybe it does not meet the need of the market, or it falls short of expectations. Lack of funding or poor finances: If a business runs out of cash or it does not have enough cash, to start with – then it is bound to fail. Keep in mind that, in order to make money, you have to invest money first. Startups should expect to be incurring huge amounts of money to cover costs of starting the business and getting the business operations underway. Startup companies have difficulties securing loans from banks, primarily because small business owners – especially those who are just starting out – are seen as inexperienced and bad credit risks. Still, with proper presentation and research, they will still be able to convince lenders to provide them the funding they need. There are several types of loans for small business that can be availed of by startups. A. Short-term loans. These are loans that are payable in a period of less than one year. Normally, these loans are needed by startups to cover their working capital for the first year of operations. They may also need to take out a short-term loan for purposes of having lines of credit. Some of the most common types of short-term loans include accounts receivable loans and working capital loans. B. Long-term loans. Unlike short-term loans, these loans have longer maturities, not going shorter than one year. Usually, the maximum period is seven years, although some may run longer, depending on the terms agreed upon by the creditor and the borrower. These types of loans are normally availed of in order to be used for major business decisions such as business expansion, purchase of real property and other major equipment and machinery, and other startup costs. Small business loans can be secured from traditional (banks and credit unions) and non-traditional sources. Banks and credit unions: Banks are the most common sources of funding by small businesses, as long as the latter are able to present a sound business proposal. Traditional bank loans are generally stricter when it comes to small businesses, however. Startups usually shy away from obtaining loans from banks, since the latter are more likely to go after the business owners’ personal assets and other collateral secured by the loan in case of default in payment. Banks also often take a long time to evaluate applications, so startups that are pressed for time to secure funding will hesitate in approaching them for a loan. Credit unions: Another commonly used source of a small business loan, credit unions can also be approached by startups looking for financing. Personal loans: You may also get a start up business loan from friends and family. Generally, you may simple take their money as a loan if you will not sell them a share of the business. The former is actually the preferred option since many small business owners would prefer to have full control of their businesses, instead of being answerable to members of their family. Other notable P2P lending companies are Upstart, Prosper, Peerform, CircleBack Lending, SoFi, Pave, Funding Circle, BorrowersFirst, and Daric. 7(a) Loan Program: The most popular loan program of the SBA allows business owners to borrow as much as $750,000 from their local 7(a) lender. These loans are usually used for working capital, and purchases of assets and leasehold improvements. 504 Loan Program: This loan is specifically for asset purchases, so the money received will be used for the purchase of land or machinery and equipment. Microloan Program: Loans under this program are of a smaller amount, generally up to $35,000 only. On average, a borrower can get $10,000. In order to avail of this program, startups must submit their application for a loan through a local intermediary organization, often community-based. Nonprofit Lenders: Startups may also approach nonprofit lenders to obtain a microloan. There are now several known nonprofit lenders that are specifically geared towards providing microloans for startup businesses, and one of the more recognizable names is Accion. The maximum loan that small businesses can get is $50,000. They have tighter procedures, however, since they require that the borrower have a credit score of at least 525, has a good cash flow, and has not declared bankruptcy within the past 12 months. Peer-to-Peer Sites: Another possible source of small business loans is online lending through a peer-to-peer (P2P) site. One good example is the Lending Club, which claims to be “America’s #1 credit marketplace”, and allows users to borrow up to $300,000 at rates starting at 5.9%. This site simplified the process by making customers interested in a loan to complete an application form online. They will then check the applicant’s risk and credit rating and, from there, assign the appropriate interest rates. In turn, investors will select from the applications what loan they would like to invest their money in. An advantage offered by these P2P sites is the ease of application (no more lengthy loan application processes and submission of documents such as business plans and loan proposals) and the flexible terms, which are arrived at through the risk and credit assessment. The fixed rates are also significantly lower than that imposed by banks and credit unions. When you decide that taking a small business loan is the way to go to obtain the funding you require for your startup, there are several things that you must do. Step 1: You must have the 4 C’s of lending, since they play an important role when lenders evaluate your loan application. Character, or, more specifically, your personal credit score and financial history. Step 2: Prepare a solid and sound business plan, and present it properly. This is the first thing that lenders – not just banks – will look at. The business plan should contain all the relevant information, such as market research, financial projections, operational plan, and various other aspects related to the business. Follow the rules on how to prepare a business plan properly, and make sure the supporting documents are complete and correctly attached. When presenting the business plan, remember that you have to make a good impression to your prospective lenders. Make an effort to look presentable. Be familiar with the contents of your business plan, and you must know your business inside out so you can easily answer whatever questions they may have. And they will have many, be sure of that. Step 3: Write a good loan proposal. You must have a written proposal outlining your needs, and make sure that it is a good one. It is not enough to verbally approach a lending institution and tell them what you need. They generally prefer the request to be made formally and in black and white. General information about the business, such as the business name, the principals, and basic details. This is also where you will state the amount of loan you are going to request and the purpose of the loan. Be very specific, because the lenders would like to see exactly what you will be spending the money on. Description of the business, with details on its history, operations, the organizational structure and number of employees, as well as the legal and ownership structure. You should also state the current business assets that you have. Profile of the management, where you will be providing background information on each of the principals in the management team. Make sure to highlight the qualifications and skills of each principal, highlighting what they can contribute to the startup. Market information, where you will be zeroing in on the products and services of the company, as well as the markets it will be catering. You will also have to discuss a bit about the competition and your customers. Talk about how you plan to hold your own against your competitors, and how you will satisfy the needs of your customers. Financial information, which includes financial statements of the business. Since this is a startup, you would have to include projected financial statements instead. You may opt to just include the projected balance sheet and projected income statement, since the more detailed projected financial statements will be included in the Business Plan, which you will also be submitting to your prospective lender. Even the personal financial statements of the principals will also have to be included. Also include a list of collaterals that you can offer as security for the loan you are applying for. Step 4: Prove that you have great potential to make your repayments. In the case of nonprofit lenders, for example, they only extend loans to business owners that can prove that they have sufficient cash flow to make payments on the loan as they fall due. It would be a good idea to be able to show that you have another source of income separate from what you will be getting from the business you will start. One way to do this is to have a cosigner. Step 5: Establish a good relationship with credit reporting agencies while maintaining a strong credit rating. This will take more advanced thinking on your part, even before you planned on starting up a business. Loan officers tend to approach credit reporting agencies in order to get a copy of your business credit report, so make sure to maintain a good and strong personal credit rating. Step 6: When availing of small business loans, be mindful of the requirements of the entity you are applying to. The application process varies among lenders, so this is to be expected. Some agencies or lenders have special requirements that are not necessarily required by the others. Take note of these and submit what is required. Step 7: Always, always, make it a point to make a good impression on your lenders. This could be done by presenting good documentation as well as presenting yourself with confidence and professionalism whenever you interact with them. When we say “grants”, the one source for startups that comes to mind is a government grant. The government has grant programs that are established in order to encourage startups. The good thing about getting a government grant is that you do not have to pay back the money that you receive. In some cases, there are even government agencies that operate venture funding groups, although this is considered, on the government’s part, as an investment more than a grant to the startup. Unfortunately, the downside to this is that there are not a lot of government grants available. The few that are available, on the other hand, have specific requirements that must be met, since they are mostly restricted to particular industries or recipients only. Step 1: Cultivate a good reputation, whether as a business operator, a service provider, or a collaborator with other businesses and entities. Grantors are most likely to look favorably towards businesses that have a good standing in the business community and the market it is in. Step 2: Similar to when you are applying for a business loan, pay attention to the requirements that you have to meet, particularly the documents you have to submit. The entity providing the grant is likely to have requirements unique to their organization, so be careful to take note of those specifics before submitting anything. Step 3: Many actually prefer grants because they are essentially receiving money free of charge. However, when obtaining funding through a grant, there are bound to be conditions that you will have to meet. Take note of these terms and conditions and assess whether they are acceptable to you and that your business will be able to meet them or comply with them. Step 4: Grants are admittedly difficult to find. Unlike banks and lending institutions, which are practically everywhere, granting companies and agencies are quite a few and far between. But if you know where to look, you will definitely find one you could apply for. And how should you look? Your first basis would be the theme of your business, or the nature of its operations. You may also use your demographics as a starting point when looking for potential grants. Step 5: Make your grant proposal as appealing as possible. Remember the effort you put into putting together a proposal when applying for a loan? Do the same when it is for a grant. Find out what the granting entity prefers: a brief yet meaty proposal or an even more extensive one. Make sure that the proposal contains the most salient details about your business. When looking for funding for your startup, expect to put in a lot of work. Money, after all, do not grow on trees, so you have to put a lot of effort in securing funding. Unless you have an exceptional product or service and your business plan is fool-proof, you are bound to have a tough time convincing lenders and grantees to give you the money you need. 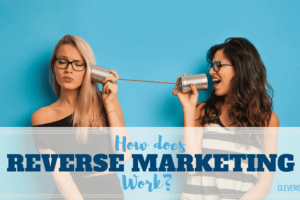 How Does Reverse Marketing Work?